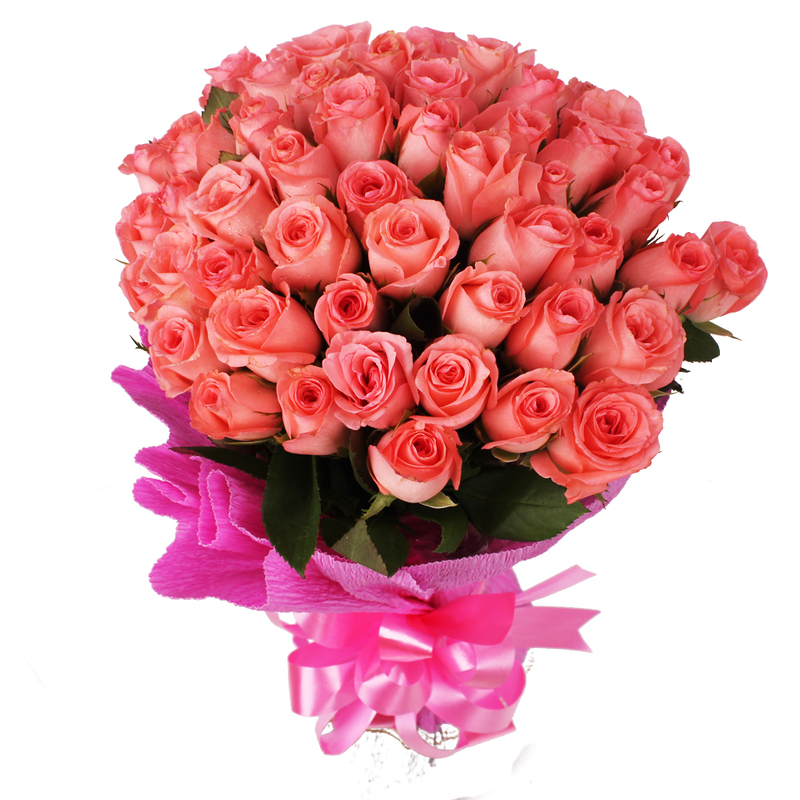 Product Consist : Hand Bouquet of fifty Pink Roses with green fillers in Tissue Paper wrap with matchig Ribbon bow on it. 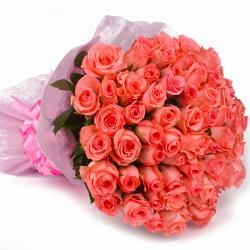 A bouquet of fresh pink roses can never be a let down. 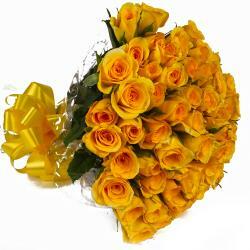 If you re looking forward to surprising your loved ones on a special occasion or simply to pamper him/her, this bouquet will do the trick for you. 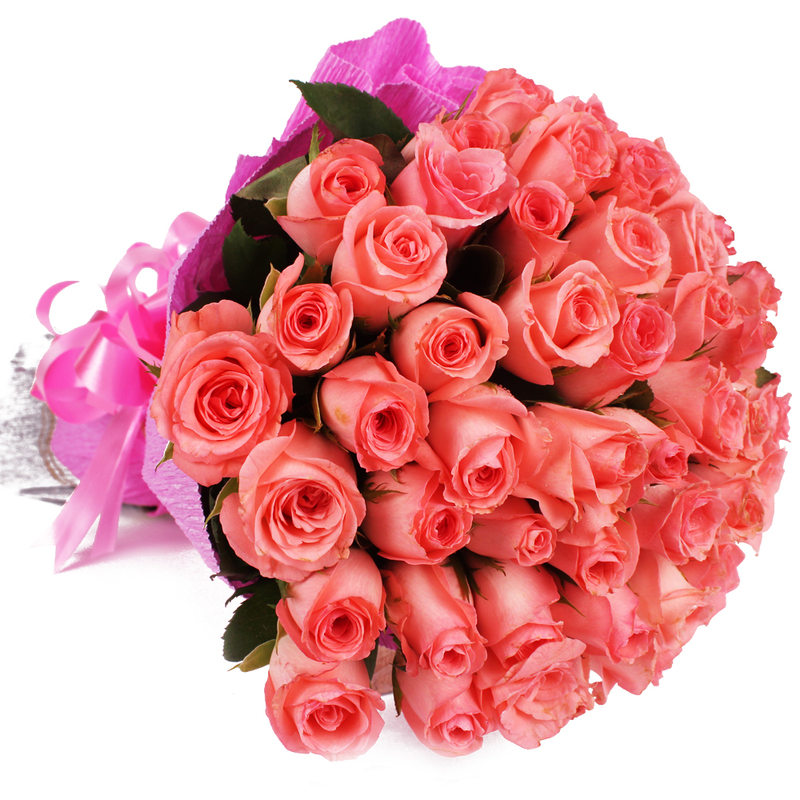 It consists of fifty pink roses with tissue paper wrapping. It will convey your deepest feelings like nothing else. 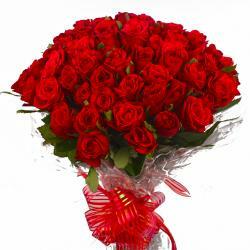 Check this out for occasions like Birthday, Anniversary, Missing You, Ganesh Chaturthi, Boss Day. 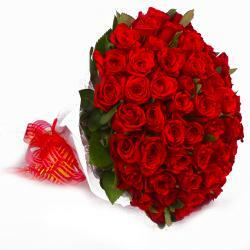 Product contains : Hand Bouquet of fifty Pink Roses with green fillers in Tissue Paper wrap with matchig Ribbon bow on it.